Auto Repair Mint Hill, How do I Jump Start a Battery? Make sure that the jumper cables are clear of all moving parts and start the engine of the vehicle with the discharged battery. To remove the cables, reverse the connection order. If you are not comfortable with doing this on your own, tow your car to a safe place or to our shop to have the battery charged and inspected. Auto Repair Mint Hill; The tire store tried to sell me Nitrogen Fill for my tires, is that necessary? Auto Repair Mint Hill; The tire store tried to sell me Nitrogen Fill for my tires, is that necessary? Nitrogen is dry air with the oxygen removed. About 5-6 years ago it became all the rage and the new thing at the chain tire and repair shops to sell nitrogen fill whenever you bought a set of tires or had them rotated and balanced. Is it necessary? Well for most of us nitrogen fill is not necessary. While it does have some benefits in certain applications like NASCAR and other commercial settings, for the average car owner the added cost usually is more than the benefit received from using nitrogen fill. Why did nitrogen fill become so popular at the chain tire and repairs shops? It was a revenue generator, simple as that. One more thing they could sell. Now if they are offering it for free or including it with the purchase of a set of tires that is fine, but also keep in mind that when you go in for routine maintenance or safety checks, there may be a fee if your pressure is low and they need to top it off. It is my opinion that your money is better spent elsewhere and if you are prudent about checking your tire pressure and keeping your tires filled to the proper pressure; your gas mileage and tire wear will be the same as if you used nitrogen fill and you will have a few more dollars in your pocket to boot. If you currently have nitrogen fill in your tires and have any questions, don’t hesitate to call Ken or stop by and have us take a look. Auto Repair Mint Hill; Fall Back Means Change your Clocks and Check your Car Battery! Auto Repair Mint Hill; Fall Back Means Change your Clocks and Check your Car Battery! Many of us know when the time changes to check the batteries in our smoke alarms but do you check your car battery as well? When the time change comes, so do falling temperatures which can uncover or stress different components and parts in your car that ran fine when the temperature was moderate. This week alone a customer came in with a car that was not starting all the time. Naturally he thought it could be the car battery since the car was only 2 years old. After one of our technicians tested the battery, the car worked fine. When the customer drove home it stopped working again. This time we made a service call to the customer’s location to test it again and the battery exploded! 2 year old car battery that exploded while being tested. Even newer cars with factory parts can fail. It never hurts to have safety checks performed on your vehicle on a regular basis no matter how old or new it is. A faulty battery is the leading cause of starting trouble. A faulty car battery can be the result of many things like age, leaving the lights on, poor connections or even a faulty battery! If you want to check your car battery yourself look under the hood to make sure the cables have a tight connection and are free from corrosion. Corroded or loose connections can cause slow cranking, arcing at the cable connections as well as a variety of other electrical problems. If you do not care to check it yourself, please feel free to stop by and see Ken for a complementary battery inspection. Auto Repair Mint Hill; April Showers can mean it’s time to check those wiper blades and headlights. It’s that time of year again when we experience spring storms in the Carolinas. Heavy rains, hail and local flooding are hazards we are accustomed to this time of year. Safe driving during spring storms is a top priority with most drivers. At Manchester Auto and Tire of Mint Hill we do more than auto repair, we strongly believe in routine maintenance to keep your car in top condition year round. If you are like most of us you do not realize your wiper blades need replacing until you turn them on and experience a streaking-chattering noise as your old blades drag across your windshield. Something as simple and inexpensive as replacing your wiper blades can increase visibility during rainstorms by as much as 34-50%. Installing a professional windshield treatment that lets the rain roll off your windshield can also significantly increase visibility during rainstorms. At Manchester Auto and Tire of Mint Hill, we use a product called Aquapel. Aquapel is manufactured by PPG Industries the same company that produces windshields installed in cars today. Some products that are silicone based create build up and even impede the the function of your windshield wipers. Aquapel creates a chemical bond on the windshield and can last 6 times longer than silicone based products. We install it on our own vehicles and wouldn’t drive without it. If your wiper blades and windshield are taken care of, have you checked your headlights lately? Many headlights become cloudy or dingy over time and can be restored back to a new or nearly new appearance to help light up the road and improve visibility at a fraction of the price of a new headlight. If you still prefer to replace your headlights, we recommend you upgrade your headlights to brighter, whiter Crystal Vision Ultra bulbs. These brighter bulbs make a significant difference in improving your line of sight while driving during inclement weather or during nighttime. Today’s cars are some of the best made and most reliable in the history of the Auto Industry. At Manchester Auto and Tire of Mint Hill we still get asked: Are regular tune-ups still necessary? In Auto Repair today the term ‘tune-up” is used interchangeably with routine maintenance. Since the majority of folks still know and love the term “tune-up” that term is still widely used. So, what is routine maintenance or a “tune-up” and how often does my car need it? Routine maintenance is outlined in your owner’s manual by your car manufacturer. They know what your particular make and model needs and what it doesn’t. Understanding and performing the manufacturers recommended services and maintenance is vital to ensuring your warranty remains intact. Independent Auto Repair shops such as Manchester Auto and Tire of Mint Hill have access to manufacturer databases and can obtain that information for you if you no longer have your owner’s manual. However, it is not necessary to take your car back to the dealer where you purchased your car to keep the warranty valid and that is the law; better known as The Right to Repair Act. Independent Auto Repair shops such as Manchester Auto and Tire of Mint Hill are qualified to perform all necessary recommended services and maintenance. Having this work done by an Independent Auto Repair shop such as Manchester Auto and Tire of Mint Hill will not interfere with your manufacturers warranty in any way. So you can maintain your car, your manufacturers warranty and your freedom of choice as to who services your vehicle when you choose to have manufacturer-recommended service completed Manchester Auto and Tire of Mint Hill. Auto Repair Mint Hill; Prolonging the life of your tires can help you save money in your wallet. Replacing tires on your car isn’t cheap and many drivers prolong it as long as possible Below are some tips to make your tires last much longer and improve fuel economy to boot (an added bonus). It only takes a few minutes per week and is so simple (I think you know that punch line). Know your numbers: Different cars and different tires have different inflation numbers. Your owner’s manual should tell you the proper inflation for your tires, however if you don’t have it, look inside the driver’s door, the glove box or inside the gas cap cover when you fill up. Once you have that information use a tire-pressure gage to check your pressure (and always make sure the tires are cold). Don’t Underinflate: There are several reasons why tires may have less air pressure than they should. One, is not checking them regularly and ensuring they have the proper pressure. Two, making sure they are inflated to the proper amount when they are replaced. Tires lose air on their own and can lose several pounds per month. When temperatures fluctuate that can also impact tire pressure which is why it is best to check the tire pressure when they are cold. When tires are underinflated they can cost you gas mileage and wear improperly and lets not forget the safety issues, underinflation can cause tires to overheat and blow out. Don’t Over Inflate: You can have just as many problems with too much air in your tires as not enough. Tires that are over inflated tend to wear more quickly in the center and like under inflated tires over inflating can overheat and blow out as well. Rotate and Balance regularly: Tires should be rotated between 6,000 and 8,000 miles. Always refer to your owner’s manual for the exact rotation schedule for your vehicle. Balancing should be done at the same time. Rotating tires as directed along with balancing can help add life to your tires. If you need assistance with maintaining your tires or when your tires finally do need replacement, please stop by Manchester Auto and Tire of Mint Hill or give us a call at 704-545-4597. Auto Repair Mint Hill; April is National Car Care Month and we have a lot of exciting activities planned at Manchester Auto and Tire of Mint Hill. During the Month of April if you stop by our shop and mention National Car Care Month and request a complimentary vehicle inspection, you can enter our drawing for a chance to win a Kindle Fire! 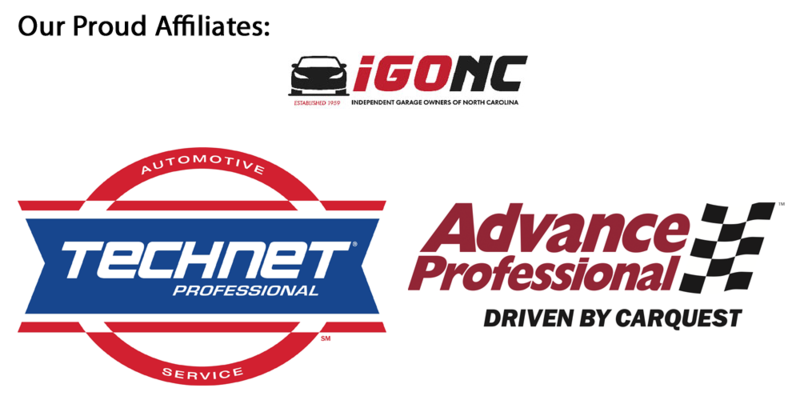 In addition to offering complementary inspections during the month of April and a drawing for a Kindle Fire, Manchester Auto and Tire of Mint Hill will be holding a car care clinic on Saturday April 21, 2012 offering complementary inspections, handouts on car maintenance and safety tips along with….. Join us on Facebook for daily updates on all the April Car Care activities we have in store. Auto Repair Mint Hill; What is ASE? ASE stands for Automotive Service Excellence. Until the early 1970’s consumers had no way to distinguish between incompetent and competent mechanics. In response to this need, the independent non-profit National Institute for Automotive Service Excellence (ASE) was established in 1972. At present about 500,000 professionals hold current certifications. They work in every segment of the automotive service industry: car and truck dealerships, independent garages, fleets, service stations, franchises and more.